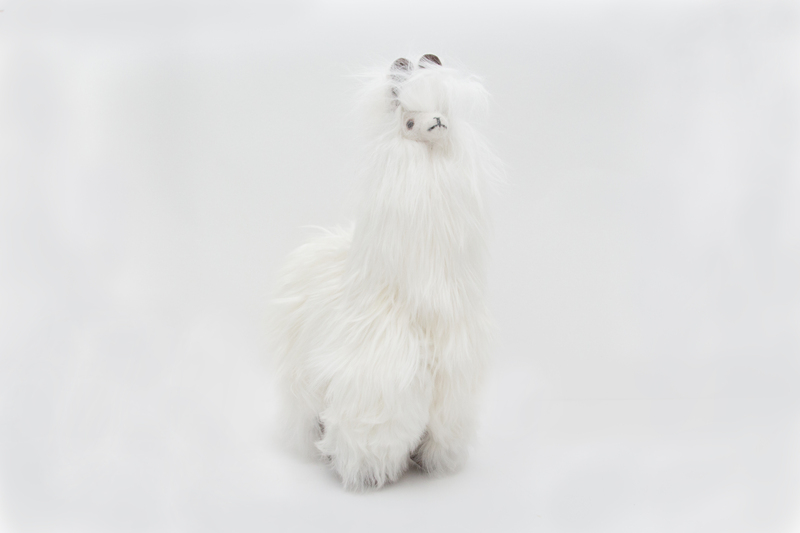 Suri alpacas are soft and silky. They are one of the two breeds of Alpaca and have a dreadlocked appearance, very different from the soft and fluffy appearance of the Huacaya alpaca. Although we don't have any Suri Alpacas on our farm, we sure do love them! Great gift for that person who loves texture! Items vary in colour and availability. Leave a comment for colour preferences other than white.